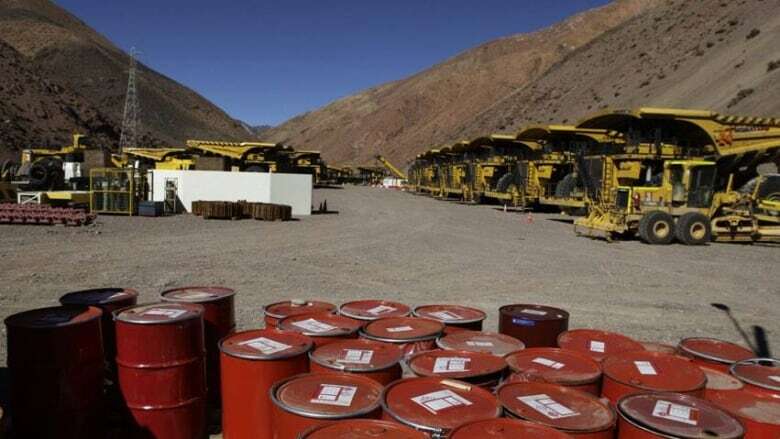 An appeals court in Chile has ruled against Barrick Gold, the world's largest gold mining company, favouring Chilean Indians who accuse the company of contaminating their water downstream. A Chilean appeals court has ruled in favour of local Indians who accuse Barrick Gold of contaminating their water downstream. Yesterday's ruling creates more doubts about the future of the world's highest gold mine — the Pascua-Lama mine on the mountainous border with Argentina. The judges ruled that Barrick must keep all its environmental promises before moving forward with construction of the mine. They also said the world`s largest gold mining company must monitor the condition of three glaciers next to the mine project. Chile's environmental watchdog had already ordered construction stopped until Barrick builds systems to keep the mine from contaminating the watershed below. Barrick has publicly committed to fulfilling this requirement and has not said if it will appeal yesterday's ruling. The $8.5-billion mine has been in the works for more than seven years.